The tongs make hot drinks simple & safe - no burned fingers! Simple yet effective tool gets every drop of tea with no mess. Better than using spoons! Ergonomic handle for a comfortable and secure grip. Made with stainless steel so it's durable & dishwasher safe! Won't bend or break! 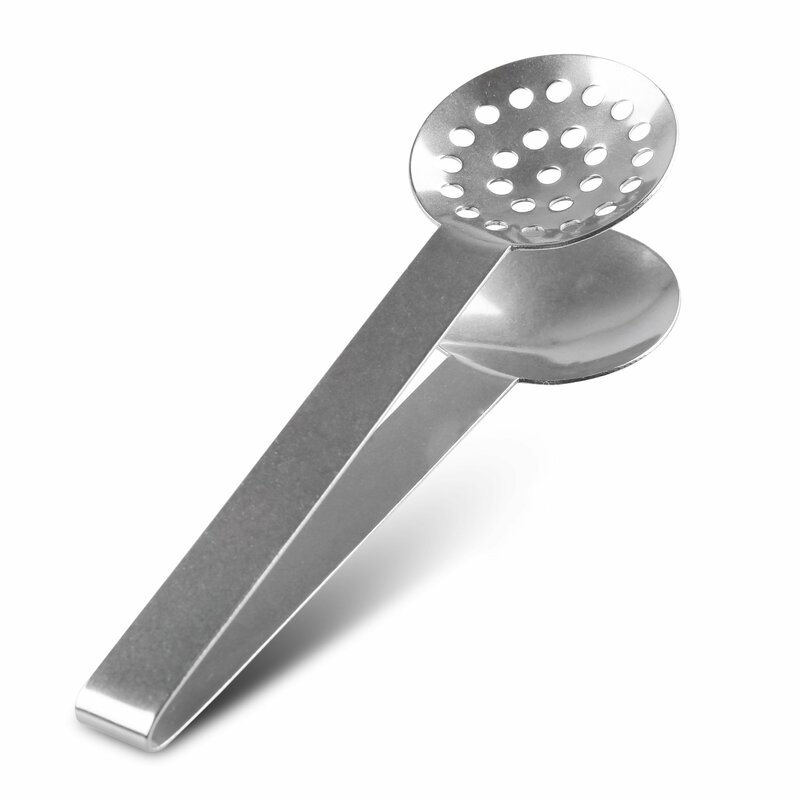 Shaped like a pair of tongs,this Tea Bag Squeezer is the essential tool fortea drinkers. See images above. 1. This makes removing tea bags from a mug simple and safe - no more burnedfingers or dropped bags, and no more fumbling with two spoons trying to fish the bag out of the cup. 2. The tool is designed with a solid plate and a strainer-type plate, so youcan easily extract every last drop of flavor and then throw the bag away without any mess. 3. An ergonomic handle makes for both a comfortable and secure grip, andallows the tool to be used with only one hand. 4. It is made with stainless steel, so it won't bend, break, or flex. 5. It is dishwasher- safe but also easy to clean in the sink. Order yours today!